Where is your little world? A little world is any place where a child's imagination is free to blossom. Where is your child's little world? A treehouse, a fort made of blankets, a playground? 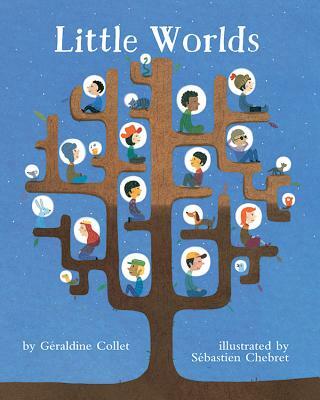 Little Worlds shows a diverse group of children in their own self-constructed little worlds as they explore and play freely, develop their identity, and learn to understand others. Includes a Note to Parents and Caregivers by Julia Martin Burch, PhD, with more information on ways to encourage your child's imagination and identity, while also fostering a sense of empathy for others.